From corporate video to non-profit, we service a diverse client list including small business to large corporations, non-profits to special events, realtors to CEO’s and everything in between. The very first steps of your video production project are crucial. This is the stage where your venture’s ultimate destiny is decided and great ideas are born. One of the main reasons a finished video can wind up lackluster at best is because the fundamental concept isn’t engaging and doesn’t target the right market. At Invizion Video, we think the key to concept development is partnering with someone who can help develop an engaging idea for your particular situation with a step-by-step blueprint of your message from start to finish. Video production can be an expensive process if you don’t plan ahead, let’s make sure you get it right the first time. Whether you need to have a script written from scratch or a touch up to your current draft, our experienced writers understand the concepts behind what you’re trying to accomplish, and can provide the dynamic verbiage you are looking for. Not only are we videographers, but we are also content consultants. We know how to ask the right questions that draw out the perfect message and deliver creative solutions that help you reach your target audience. Our team of professionals are trained to take your vision and create a masterpiece. Our scope of experience includes location scouting and all the additional details that facilitate a seamless production including permits. From office space to apartments, parks to warehouses, we know of some of the best locations to use as a backdrop for your production. Have an idea but need professional talent to make the whole thing come together? We will search and audition the talent to get the perfect actors for your production. The tools of your trade are as important as your visions. For that reason we feel it necessary to have the most technologically advanced, latest and greatest equipment on the market. 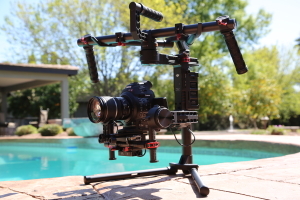 From RED Digital Cinema camera’s shooting in 6k to the best drones shooting in 4k, we are on top of what will produce the best picture for you. We believe owning and operating our own equipment is best and know all the ins and outs of the best this industry has to offer. For the big jobs, the small jobs and all the jobs in between we are better equipped than most with newer, nicer and constantly evolving lights that make your shot shine. We understand remembering lines and/or scripts under pressure can be difficult. We have the best teleprompters in the business that stay hidden from shots, but are within perfect eye range to allow your conversation with the camera to flow naturally. We have a wide array of Sennheiser mics on hand to enhance the audio of your video and make the outcome the best it can be. If you can set a camera on it, we more than likely have it. If we don’t, we will get it or make it especially for your project. Fluid shots are key in video and we will ensure you get them. From time to time some projects need digital footage and/or animation technology to create the illusion of rotation or motion. We have experts on hand who can combine them perfectly with audio for your multimedia projects. Our state-of-the-art sound designers will bring your video to a new level with custom sound creation. We have the latest and greatest technology that provides lightning-fast access to the right sound for your project. Our ideas are limitless, so are our video marketing services! There was a time when customers and providers existed in close proximities, but in today’s vast world it’s more likely they are spread across the country, or in some instances, the world. 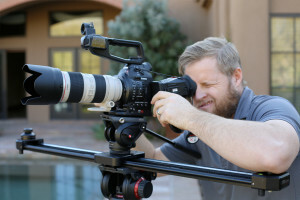 HD video can help you bridge the gap between distances and connect with consumers no matter where they are. Our Chicago video production team has provided high-quality HD video production services to companies large and small, advertisement agencies, non-profit organizations and successful individuals around the globe for years through influential and moving HD video services. Whether you are a real estate agent wanting to showcase a property, a small business looking to utilize the power of small video or a specialist in a field where people can learn more about your operations, HD Video is the way to connect to consumers and get found online more efficiently, effectively and affordably than ever before. 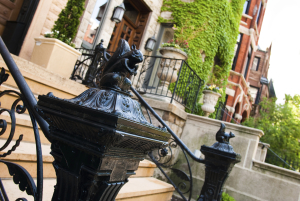 When it comes to selling real estate in 2015, web appeal is the new curb appeal. 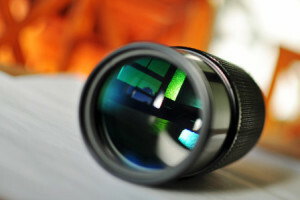 With buyers in so many markets and home-owners looking for an edge in the listings, many real estate agents and home sellers are turning to video production to get the upper hand and be the breakthrough property. Using video in real estate provides potential buyers an opportunity to feel what it is like to step inside your home and mentally move in. Stunning photographs are always viewed as an asset, but video provides the viewer a unique perspective of your property that they cannot If you are ready to show off your property listing in a captivating way that will be remembered and turn some heads, we can help. Videography in real estate provides your viewers a unique perspective of your property that wasn’t previously possible. 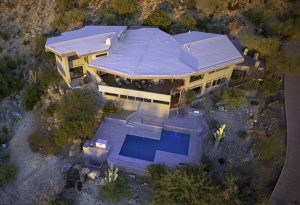 At Invizion Video, we take to the air to capture moving images and transform the way a viewer sees every day objects. Aerial cinematography is invigorating and fascinating allowing a new perspective from a bird’s eye view from above building tops and through rays of sunshine. Through the use of the most sophisticated and efficient aerial drones, we capture and transform the ordinary into the extraordinary. As each client’s cinematography needs are unique, each finished product is unique. Weather you are looking to showcase a home, a special event, your business we achieve maximum impact with stunning aerial imagery. Our team prides itself on delivering professional service with an inspired eye. Aerial photography is booming. It is the latest and greatest way for realtors, developers, business owners, engineers and the like to showcase products and properties while utilizing the latest technology. 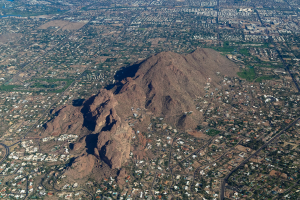 Whether it’s to capture an event, create a buzz, deliver a message, document construction, or showcase a new listing we provide aerial images that deliver. Our drone pilots and photographers have experience in the art of aerial photography and we work directly with you to ensure we capture every angle you are looking for. With state-of-the-art equipment, Invizion Video produces quality images that meet your needs. We take your vision and raise it to new heights.